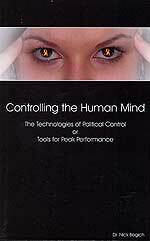 Entire Populations Can Be Mind Controlled! Subtitle: If Ruins Of An Ancient Civilization Are Discovered On Mars, Will You Lose Your Precious Christian Faith? This potential is very real, so you had better prepare yourself. NASA continues to release sharp photos of Mars surface which enthusiasts insist constitute "Smoking Gun" evidence that intelligent life existed on Mars a long, long time ago. Is this for real?! Yes, it is, but not for the reason you may believe. See how this "news" fits in perfectly with the New World Order Plan. "Portland, April 20, 2007 / RaidersNewsNetwork.com / -- NASA's recently released ultra high resolution pictures of the "face on Mars" reveal details as small as a few inches across including what some believe to be girders, windows and walls from ancient structures. Richard Hoagland and his Enterprise Team believe this is the smoking gun. 'The debate is over', he says. 'I no longer need to prove that these are ruins, my critics need to prove that they are not'." Did you catch that pertinent sentence? A RESPECTED Expert, "Richard Hoagland and his Enterprise Team", are now saying that the debate is over, that this latest batch of "ultra high resolution pictures" on the surface of Mars a "smoking gun" proof that an intelligent civilization once lived on Mars. Remember the American people with whom you are dealing in today's society. Very, very few people think critically or read widely. Very few people dig deeply into the matters which concern this country. If they concern themselves with the daily news, they usually get their information from T.V., thereby conditioning themselves to snippets of information, where they just might get a distorted story; or, they have been conditioned to arrive at their conclusions and beliefs by mere stereotypes. I believe that this whole episode is aimed at these type of uninformed citizen. Equally significantly, I believe this episode is aimed squarely at the readers of the Supermarket Tabloids. If you have been paying attention, Supermarket Tabloids have been consistently running articles on Aliens, UFO's, and Life On Mars, since the middle 1980's!! Yes, you heard me correctly. Tabloids have been running articles on the possibility of life on Mars for two decades now. All of the stories have been trash, but they have had the effect, over these many years, of slowly conditioning people to believe, in their heart of hearts, in the possibility of ancient life on Mars. Now, let us return to this feature story for more information. What conclusion does all this information seemingly point toward? In our Headline, above, we imply that the repercussions from an announcement that intelligent beings once inhabited Mars might make you lose your Christian faith. What is the inescapable conclusion from these strong, bold assertions? "A staple doctrine among many ufologists is that such a discovery would lead to the conclusion that the origin of myth as well as the creation of man was the direct result of intelligent extraterrestrial activity, or benevolent creator astronauts. Benevolent Creator Astronauts Theory (ET=God)." Since the Judeo-Christian Bible holds that Jesus Christ is the Creator of the entire universe (John 1:1-3), when the top governments and scientists of the world began to "prove" that E.T. really created all the universe, many people will begin to doubt their faith. Do you have the arguments you need to defend your precious Christian faith? Let us again return to this featured article for more blockbuster assertions. "Wild claims" made in the recent past by Science Fiction writers are now threatening to "come home to roost"! These views are about to be heavily publicized, supported by some of the greatest "scientific evidence" ever marshaled to threaten the validity of the Bible. This next segment verifies this view. "As was illustrated in the Hollywood films Contact and Close Encounters Of The Third Kind, Erich von Daniken's hypothesis took America by storm in the 1960's with the proposition that mankind was possibly the offspring of an ancient, even ongoing, extraterrestrial experiment. Ufologists like Daniken assert that the Sphinx, the Pyramids and myths of ancient cultures are potential evidence of an encounter with these other-worldly beings. They claim ancient men would have considered space travelers as gods and would have recorded their arrival, their experiments, and their departure, in hieroglyphs, megaliths, and stone tablets as a 'supernatural' encounter between gods and men. Von Daniken also claims that the odd appearance of some of the gods as depicted in various hieroglyphs (human-like creatures with falcon heads; lions with heads of bulls, etc) could be viewed as evidence that "aliens" conducted experiments of cloning and cross-mutating ancient people and animals." A supporting lie being told since the New Age Movement went public in 1976 is that the more ancient an idea is, the more validity it possesses. Thus, because the Ancient Egyptian Mysteries Religions predated Christianity, the Egyptian Mysteries is more valid than Jesus Christ. That is the lie being perpetrated here. "Daniken's hypothesis is accepted by some as an alternative to the traditional account of creation. It's uncertain how many people believe the Daniken (and Sitchen) theory, but approximately 70% of Americans believe in the possibility of extraterrestrial life. Some, like the 39 members of the Heaven's Gate cult that committed suicide in Rancho Santa Fe, California and believed they were being summoned by a UFO trailing the Hale-Bopp Comet, take it a step further. They merge ufology and religious cosmology to produce hybrids of conventional religion and/or esoteric mysticism. Of course the remaining 30% minority reject the entire notion as ridiculous." Now, enter the respected Federal Government organization, NASA (National Aeronautics and Space Administration). The RESPECTED NASA, speaking from their RESPECTED office, has now officially announced that it is quite possible that these startling pictures have proven that life may have existed on Mars millennia ago. For those of you who have been reading Cutting Edge material for a while all this must sound a bit familiar. Do you recognize the Six Step Attitudinal Change Plan in this sequence of events. Remember, this Change Plan changes attitudes and values of an entire population so gradually, so slowly, that the victims never know they have been manipulated. Step 1 began to occur in the mid-1980's, as people began to read of the likelihood of life on Mars from the Supermarket Tabloids, and from fiction. This constitutes Step #1, and at the beginning, few people actually believed this nonsense. But, after a while, these readers begin to be slowly convinced of the possibility that life might have existed on Mars. Step 4, the sheer repetition of the shocking subject matter, occurs consistently in this pop culture media. Step #5, where people are no longer shocked by this possibility, then occurs. Once Step #5 was attained, the time had arrived for a really RESPECTED person to propagate this lie from his Oval Office. Do you remember that shocking announcement on August 9, 1996, from President Bill Clinton, that science had possibly proven that life once existed on Mars? NEWSBRIEF: Space Views Magazine, Breaking News August 9, 1996, "Was There Once Life On Mars?" "Today, rock 84001 speaks to us across all those billions of years and millions of miles. It speaks of the possibility of life'. President Bill Clinton"
"NASA and Stanford University scientists announced Wednesday they had compelling, but not conclusive, evidence that primitive microscopic life may have existed several billion years ago on the planet Mars. At a press conference in Washington Wednesday afternoon, a team of scientists led by Dr. David McKay of NASA's Johnson Space Center presented several key pieces of evidence which, put together, 'strongly suggests' that life once existed on the Red Planet. 'There is not any one finding that leads us to believe that this is evidence of past life on Mars. Rather, it is a combination of many things that we have found,' McKay said." "The team presented four lines of evidence obtained from the analysis of a meteorite ejected from Mars billions of years ago and landed on the Antarctic continent over 10,000 years ago ..."
In a slight variation of the Six-Step Attitudinal Change Plan, the President of the United States stepped forward, with his respected NASA administrator, Dan Goldin, to announce that the possibility of life on Mars has been "scientifically" established. I can guarantee you that all that most of these readers of Supermarket Tabloids heard was that the President had announced that life had been found on Mars, and his scientific NASA administrator had agreed. They will never, ever hear the protestations of more objective, non-Governmental scientists. For millions upon millions of Americans, the issue has now been settled. There has been life on Mars, in the distant past. I tell you it matters greatly in the successful staging of the Antichrist and in establishing his New World Order Kingdom. When President Clinton made his announcement, he made it far more likely that Americans in particular, and untold millions worldwide generally, would believe the claims of the Antichrist when he arises. You see, the Antichrist will claim to be an Ascended Master, who has passed through many lifetimes, some on Earth and some on other planets. Therefore, Antichrist is going to be an Alien, who has lived on other planets!! The "Guiding Spirits" of New World Order leaders have consistently told their human hosts that people will be far more likely to believe the claims of Antichrist if they have first been conditioned to the idea that Aliens, Extraterrestrials, do exist! Ditto for UFO's!! This is why the subject of Extraterrestrial life on many planets is a constant subject in New Age bookstores, and has been for over 100 years!! Among New Age adherents, you will be hard pressed to find someone who does NOT believe in life on other planets. And, as you peruse New Age bookshelves, you will find a considerable number of titles pertaining to Mars. Therefore, what you have here is the meeting of beliefs about life on Mars, and by extension, life on innumerable number of planets in the universe, between traditional New Age adherents and the more average citizen on Main Street, U.S.A. We are getting closer to the successful staging of Antichrist every day. The very fact that the President of the United States would commit his prestige and that of his office, to promoting Life on Mars shows how very close to the appearance of Antichrist we must be! This Life on Mars concept also has one other implication. 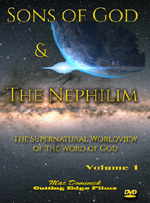 It is designed to throw doubt into the traditional Biblical concept that God created a unique planet amidst the many millions of planets and solar systems within the Universe. Create doubt that God Creator created a unique race of human beings, gave them Free Will to sin or not to sin, and uniquely created a Plan to save them from the consequences of their sin by Himself becoming their Perfect Sacrifice. God's Plan of Redemption is a unique plan, for a unique race, living on a unique planet. This is the Plan of the New World Order, to convince a majority of people that Extraterrestrials might exist, convince a strong minority that they absolutely do exist, and deliver a death blow to your most feared, implacable enemy, those Fundamental Born Again Christians. "Malevolent Non-Creator-Astronauts Theory (ET=Satan) -- One of the more troubling aspects of the benevolent creator-astronaut view is the related "abduction" scenario associated with certain types of aliens--the taking of a person against their will, often followed by intrusive probes, genetic tinkering, embryo farming and other experimental processes. The abduction by shadowy forces for reasons unknown is viewed by most experiencers and researchers as impersonal, malevolent, demonic." "Associate professor of psychology Elizabeth L. Hillstrom points out in her book, Testing the Spirits, that a growing number of academics also associate UFOnauts--whoever, or whatever, they are--with historical "demons". 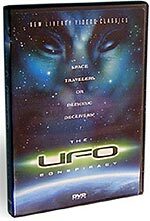 "From a Christian perspective, Vallee’s explanation of UFOs is the most striking because of its parallels with demonic activity. UFO investigators have noticed these similarities. Vallee himself, drawing from extrabiblical literature on demonic activities, establishes a number of parallels between UFOnauts and demons....Pierre Guerin, a UFO researcher and a scientist associated with the French National Council for Scientific Research, is not so cautious: "The modern UFOnauts and the demons of past days are probably identical." Veteran researcher John Keel, who wrote UFOs: Operation Trojan Horse and other books on the subject, comes to the same conclusion: "The UFO manifestations seem to be, by and large, merely minor variations of the age-old demonological phenomenon." I find it highly interesting that this professor of psychology would quote French astrophysicist Jacques Vallee. I have personally read two of his books, and have written extensive articles on his findings! Please take a few moments to read our articles, for they will offer a great deal of information quite pertinent to this discussion. CE1030 - "ANTI-CHRIST, ALIENS, AND UFO'S"
NEWS1055 -- "SIX STEP ATTITUDINAL CHANGE PLAN - How This Plan Is Being Used In Society Today"
To understand how this belief in Aliens and UFO's directly transforms into a belief which would help Antichrist deceive the peoples of the world, please read NEWS1018, "HILLARY TO JEAN HOUSTON -- COME ON OVER AND BRING ELEANOR WITH YOU!" Christians, and many Catholics, have always equated Extra-terrestial contact with demons. That is the correct Biblical analysis, in our opinon. Remember, Satan can transform himself into an Angel of Light, if need be, in order to deceive humans. His demonic host can also transform themselves. But, now, a Vatican spokesman has just declared that E.T. activity is real and is NOT demonic! "Monsignor Corrado Balducci, a theologian member of the Vatican Curia (governing body), and an insider close to the Pope, has gone on Italian national television five times, including recent months, to proclaim that extraterrestrial contact is a real phenomenon. Balducci provided an analysis of extraterrestrials that he feels is consistent with the Catholic Church's understanding of theology. Monsignor Balducci emphasizes that extraterrestrial encounters 'are NOT demonic' ..."
Now, one billion Roman Catholics throughout the world are officially "set up" by these kinds of pronouncements that Aliens are real, but are NOT demons. Stay tuned for more developments in this business about Mars. If my hunch is correct, you will be hearing a lot more about Mars in the near future. After all, there are more people to convince before Antichrist arises, and the Mars card is likely to be played again and again, until the great majority of people believe the lie. Remember Jesus' thrice-repeated warning in Matthew 24, against deception? His warnings culminate in verse 24, "For there shall arise false Christs, and false prophets, and shall show great signs and wonders; insomuch that, if it were possible, they shall deceive the very elect." This Mars deception is simply one of the opening salvos in the great New World Order deception. Keep your eyes on Jesus Christ, and on His Perfect Salvation, not on any man or any church. Now is the time to stand strong for Jesus Christ and His Truth, for the End of the Age is very, very close, indeed. 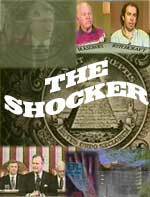 Remember Jesus' revelation that Unparalleled Deception is one of the hallmark characteristics of the End of the Age. Are you going to be deceived and your faith ruined when this massive deception finally hits the Mainstream Media?